Annabelle Safinia is a Licensed Marriage & Family Therapist with training in Emotionally Focused Couple Therapy (EFT) and Mindful Parenting along with expertise in teaching Mindful Parenting to families during the most formative years of their children’s lives. In addition Annabelle is also a Certified Maternal Mental Health Professional, Speaker and Parent Educator. Her pioneering work integrates a psychodynamic approach with brain science, mindful parenting and depth psychology. Annabelle’s unique process helps you shift from a traditional authoritarian view of parenting and relationships to a conscious relational view. By looking beneath the surface of communication Annabelle helps you understand and unravel unconscious patterns and habits that have formed. 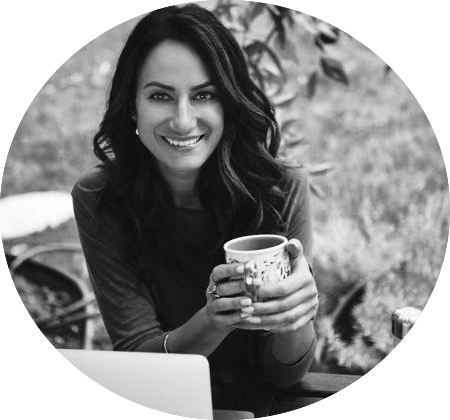 She provides tools and training so you can become the kind of parent or partner you most want to be. When I had my baby I felt my whole identity shift. My family lived in London so I was feeling alone and lacking confidence in my new role as a mother, all of which contributed to the onset of postpartum depression. I wanted to do the best job I could as a mom but felt unsure of where to start. As a therapist, I knew I wanted to parent in a more conscious way than I had learned growing up, but I needed extra resources to do so. It was at this time that I began my training in mindful parenting and parent education. I learned the tools that really helped pull me out of a desperate and stuck place into a place of confidence and forward motion. My training was invaluable to me and allowed me to feel good about my communication with my daughter. My experience made me realize that as a therapist, I was in a unique position to help others do the same, which is when I began to incorporate this parenting model into my therapy practice. After years of leading Mindful Parenting groups and training interns in the model, I have been blessed to see the impact it has on those who embrace it.Those who do are able to build a solid foundation of communication based on respect, understanding and self-reflection that all contribute to the secure attachment bond between parent and child. Parenting can be a rollercoaster but with the right tools and confidence in your approach it can be a ride that you enjoy and embrace for years to come. I love to spend time with my daughter, dancing around and being silly, finding new healthy recipes to try out and traveling to visit family and friends. GraceFull welcomes Annabelle as our in-house therapist with a specialty in Conscious Parenting and Counseling Services.